We've been hard at work this year to bring support for our games and applications to the Nintendo 3DS. The recent support of the 3DS platform by the Unity engine (which we use for targeting most of our other platforms) made this possible. PixelMaker will be our first release on Nintendo 3DS. It works great on the 3DS handset - using the bottom screen to draw, while having an overview of the entire scene on the upper screen. We even leveraged our drawing layer feature to provide support for the stereoscopic 3D display. The effect is really quite fun, and we are looking forward to see how people use it. 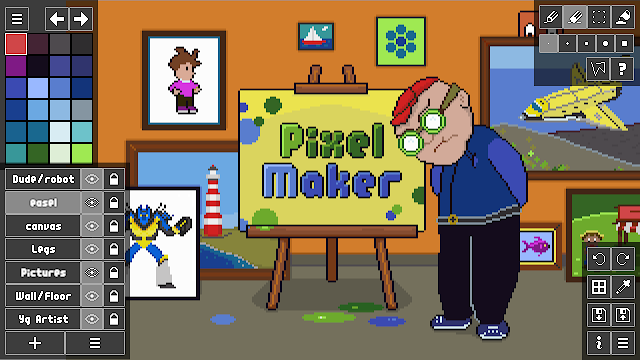 Even though Unity is primarily targeted at the New Nintendo 3DS, we worked hard to make PixelMaker run on the original 3DS as well. This wasn't easy, given the memory and CPU limitations of the original device, but we are very happy with the result we were able to achieve. 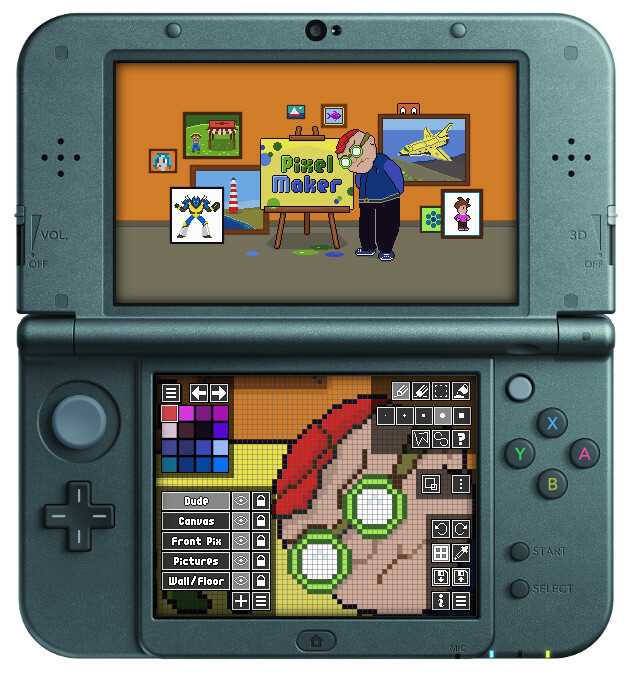 I believe we will be the first Unity 3DS release to run on the original 3DS. 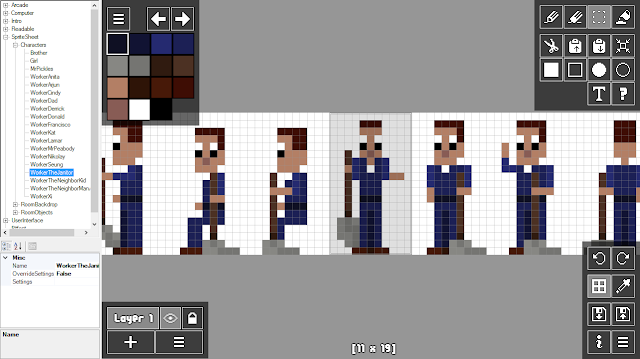 We plan to bring our voxel editor VoxelMaker, as well as at least some of our games, to the 3DS soon.